Demand for Scottish experiences, including whisky tastings at distilleries and rugby clinics, has surged in the run-up to the Commonwealth Games, according to corporate travel and events business ATP Event Experts. 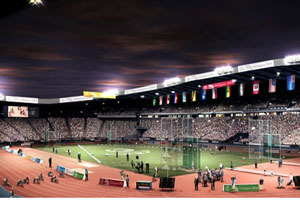 With less than two weeks to go before the start of the Glasgow 2014 Commonwealth Games, ATP Event Experts has reported an increase in requests from clients seeking authentically Scottish experiences. It says event bookers and corporate clients are opting for more traditional Scottish experiences alongside the usual components like accommodation, touring and dining. The company also revealed 85% of its overall ticket allocation has been snapped up by British people, followed by Australia, India and Canada amongst other competing Commonwealth nations. For the past 18 months, ATP Event Experts has had a dedicated 20-strong on-the-ground team carrying out venue research and inspections of Scotland’s historical sites, heritage-themed hotels, dining venues and touring itineraries to ensure the most desirable options were available to Commonwealth guests. As the Glasgow 2014 Games Travel Office (GTO), ATP Event Experts will have dedicated teams embedded in the Games headquarters and The Athletes Village supporting the organising committee in key areas of delivery. As the sole spectator packages provider, ATP Event Experts is also managing and selling a range of spectator packages for the Games. Neil Pace, head of UK event operations at ATP Event Experts and senior project manager for GTO, said: "Our events team has been preparing for the Glasgow 2014 Commonwealth Games for over two years and we’re confident that our clients who choose to explore Glasgow and Scotland during the Games will enjoy a warm welcome and a taste of Scottish hospitality that they won’t soon forget."